Kebbi State government has said 10,000 farmers would be sponsored by the state government in soya beans production. Some of the communities targeted for the production are Danko/Wasagu, Zuru, Fakai, Ngaski, Shanghai, Yauri, Koko/Besse, Bena, Birnin Tudu, Augie and Bagudo. Known for its breakthrough in rice production, the state is collaborating with a private company in Lagos and has engaged over 30, 000 farmers in nine local government areas to produce the crop in commercial quantity. 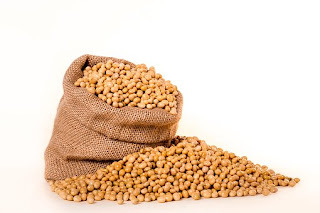 The state Commissioner for Agriculture, Alhaji Garba Dangida, said that another set of 10,000 farmers would be sponsored by the state government to cultivate soya beans to meet its production target. Some of the communities being targeted for soya beans cultivation are Danko/ Wasagu, Zuru, Fakai, Ngaski,Shanghai, Yauri, Koko/Besse, Bena, Birnin Tudu, Augie and Bagudo. Dr. Kenton Dashiell from the International Institute of Tropical Agriculture (IITA), Ibadan, has promised to examine the soya beans potential in Kebbi State with a view to helping it achieve its production objective with team of agriculture experts led by him. Governor Abubakar Atiku Bagudu had hinted on the state’s preparedness to go into large production of soya beans during one of his public engagements. Apart from the selected farmers, the governor said his administration was ready to support and assist other farmers that wish to cultivate soya beans with the required inputs to boost its production in the state. “Apart from soya beans, we are also looking into how we can assist our farmers to tap the state’s potentials in cassava, onions, groundnut, cowpeas, sesame seeds and ginger,” he said.